Special Effects controllers available to hire for varied effects, from fireworks displays, pyrotechnics, flame systems to CO2 and confetti hits. 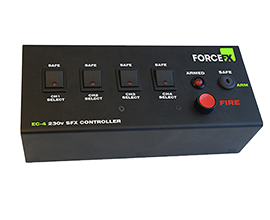 2 or 4 way effect controllers from ForceFX and MagicFX, all with selectable channels, safety key and 'Fire' button. ForceFX controllers are 10A load with Momentary Fire buttons (we can also supply these fitted with latching fire buttons making them perfect for use as e-stop controllers). MagicFX Effect'ivators are single or 4 channel and feature both 'Flash' and 'Latching' fire options. All our 230v hire controllers are fitted with Neutrik Powercon outputs, perfect for use with our Air Cannons and Co2 Jets. We also have over 4 kilometres of Neutrik Powercon cables ready for hire in 1.5, 3.5, 5, 10 and 25m lengths, plus couplers and joiners. 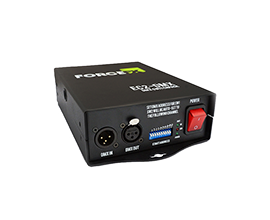 The all new ForceFX EC2-DMX Switch Pack is designed for those who prefer to run their Co2 jets from a DMX desk. Our new 2 channel Switch Pack unit has been designed from the ground up to be both solid and robust, so it's a unit that's equally suitable for hire companies, Club installs, travelling DJ's and Touring alike. 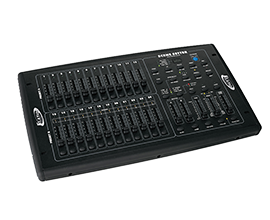 The design features two DMX switchable 10A per channel outlets with Neutrik Powercon connectors used throughout, so it's an ideal companion to both our Cryo Jet II and ThunderJet Co2 Jets, or indeed any other effect than needs switching via DMX.When you need additional channels, there's also a simple pass-through 230v Power input/output that enables you to daisy chain Switch Pack's together with DMX input/output via 3 Pin XLR's. DMX programming couldn't be simpler. Just use the DIP switches to set the channel you want to use for your first power outlet and the second power outlet will be automatically set to the following DMX channel, it's as simple as that. 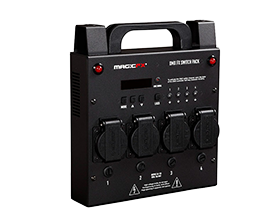 This professional Switch Pack is especially designed for controlling special effects by DMX. It is the first safe switch pack for special effects which has multiple built-in safety features. Effects connected to this switch pack can never start accidentally! Finally a switch pack which you can trust in any situation! 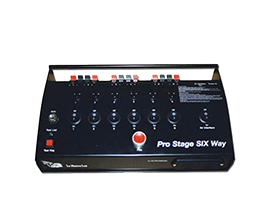 Easy to use DMX controller for controlling all of your special effects, the built in safety channel on our switch packs works great with these for added safety. 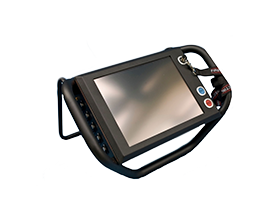 The Swedish made Fire Ctrl Touchscreen Digital pyrotechnic firing system is in our opinion the best system on the market and is capible of handling even the biggest of pyro or firework shows. No need for a separate laptop with this system, the Fire Ctrl has an easy to use touch screen and graphical interface, internal Solid State Compact Flash Drive and external USB storage so you can save your shows and port them between controllers, a 5 hour battery life (2.5 hours with 50 connected modules) and a firing rate of 100 channels per second with full SMPTE control for TV Syncing.Modules are 16 channel units, which can be daisy chained together. 16 channel wireless modules also available. We offer a range of firing Systems from ®LeMaitre and ®SkyHigh as well as various types of firing pods and cables for their Flash Pod systems. We also hire ®LeMaitre air interface units for use with all types of electric air cannons. We also offer our own 24v x 10 channel and 48v x 30 channel heavy duty firing systems which are suitable for shows using professional 'wired' pyrotechnics. For table top pyrotechnics, we offer a fully wireless system with enough receivers to cope with up to 120 tables.